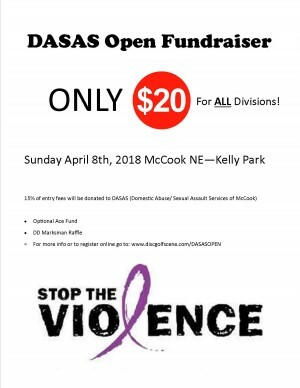 This is a Fundraiser for DASAS (Domestic Abuse / Sexual Assault Services of McCook). 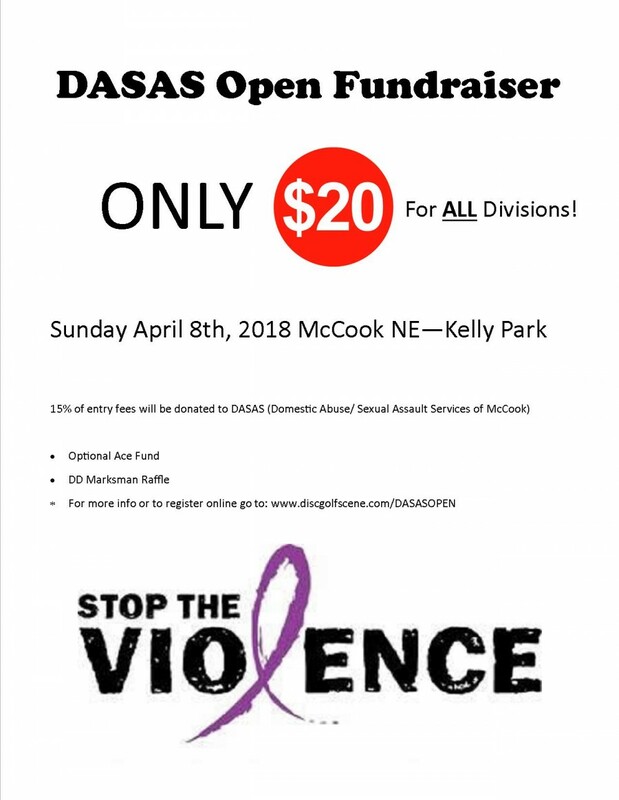 15% of all entry fees will go towards a donation to DASAS. At this event you will play the same course as the McCook open that took place the day before. There will be a prize raffle during the awards ceremony for a brand new DD Marksman Basket for those who purchase raffle tickets. If no Ace is hit the ace fund will be split 50/50. 50% will go to to a CTP Throw off. The other 50% will be donated to DASAS.